I stepped into what was formerly the Commerical National Bank in my hometown. I hadn’t been there since January of 1977. The shiny marble floor still glistened. 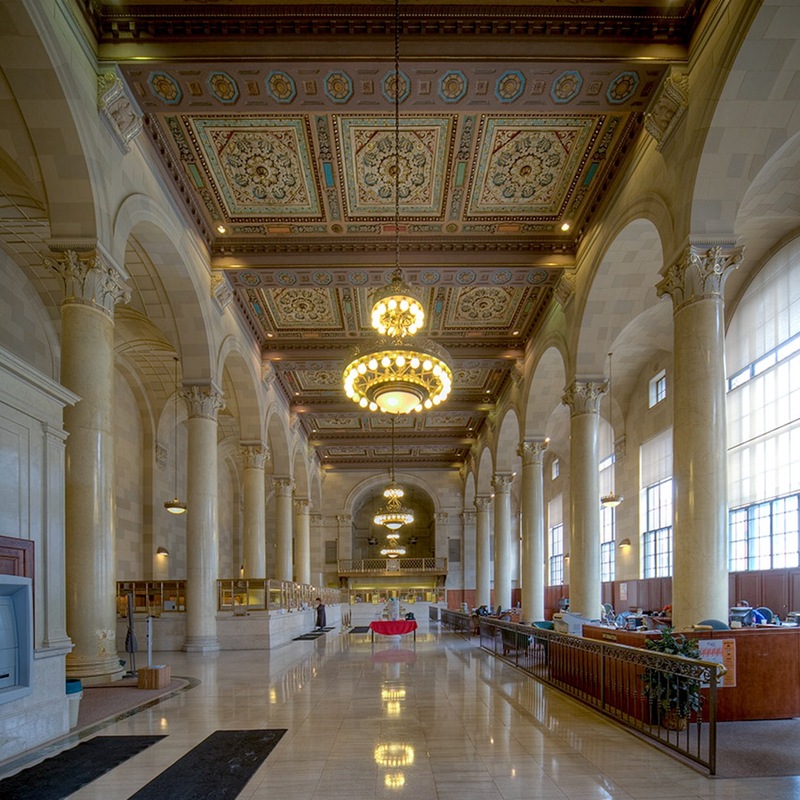 The majestic marble columns still drew the eyes toward the intricate tiled ceiling. Looking around at empty teller windows, I added, “The last time I was here all 21 windows had a teller.” There was only one teller now. The lobby was empty, save for a lone teller, a receptionist and the two of us. “For everything there is a season”, The Preacher in Ecclesiastes once said. Old chapters draw to a close and new chapters are born. “O Light, from age to age the same, O ever living Word,” the old hymn proclaimed, “Here have we felt Thy kindling flame, Thy voice within have heard.” Every age belongs to that Light; the light of Love, the light of Jesus, the light of God. Each age contains a glimpse of grace. Lord God, in the midst of constant change let us not be afraid. Let us look us always look for Your grace that sustains us. Amen.